Update: We interviewed Ari Katz for more information on Beach Rats. Beach Rats are a new supergroup consisting of members of Minor Threat, Lifetime, and Bouncing Souls. 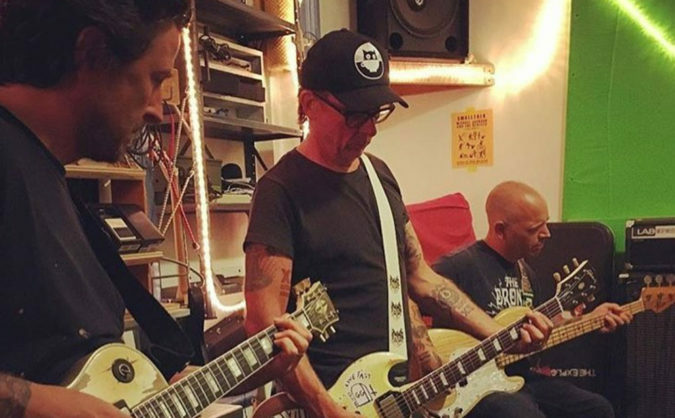 The band includes vocalist Ari Katz (Lifetime, Mitylion), guitarist Brian Baker (Minor Threat, Bad Religion, Dag Nasty), bassist Bryan Kienlen (Bouncing Souls), guitarist Pete Steinkopf (Bouncing Souls), and drummer Danny Windas. Baker shredding a lick for the Beach Rats ep! We are big fans of the aforementioned bands here at Culture Creature. Listen to our interviews with Lifetime guitarist Dan Yemin and Minor Threat frontman Ian MacKaye.